The spirit of exploration lies at the heart of East Imperial. Wanting to be true to the quinine water found in the tumblers of the original explorers, East Imperial traced their quinine back to the Java province where the Dutch originally sourced it from during the period 1888 to 1942. East Imperial apply the same principles sourcing all our ingredients; sugar cane, Thai ginger root, yuzu or pomelo. These highest quality natural ingredients combined with Javanese quinine are what give the East Imperial range its distinct flavour profile. The entire range is low in sugar and there are never any artificial flavours, sweeteners, preservatives or colours added. Burma Tonic Water has nearly double the natural cane sugar of our Old World Tonic. It has the highest quinine levels available in the market (83ppm). This is rounded out with top notes of Thai lemongrass and manao lime. Burma Tonic Water captures the contemporary taste of tonic with added citric acid and a higher sugar level. Yuzu is an aromatic and sweet citrus fruit found during the cooler months in select regions of Asia, particularly Japan. Introduced to South East Asia at the turn of the last century, at a time of lemon and lime fatigue, it was immediately embraced by the more discerning drinker. Yuzu Tonic Water has the same natural cane sugar and quinine content as Burma Tonic Water. We recommend Yuzu Tonic with more traditional citrus driven and London dry style gins with a lemon garnish. Harry Craddock was known in the 1930s for his fantastic cocktails at iconic London destinations The Savoy and The Dorchester Hotel. Inspired by Craddock and his notion of the ‘forbidden fruit’, we took the South East Asian Pomelo, which delivers a deep rich orange note, and carefully blended it with the distinctive tangy flavours of Ruby Red Grapefruit. Grapefruit Tonic Water has the same natural cane sugar and quinine content as Burma Tonic Water. We recommend Grapefruit Tonic with more traditional citrus driven and London dry style gins with a ruby red grapefuit garnish. A brewing process that takes three days using the finest gingers from Mombasa in East Africa and Thailand in East Asia. Less sugar compared to other ginger beers and an incredible long lasting ginger spice. Ideal for a Moscow Mule, Dark and Stormy or on its own as an alternative to alcoholic drinks. 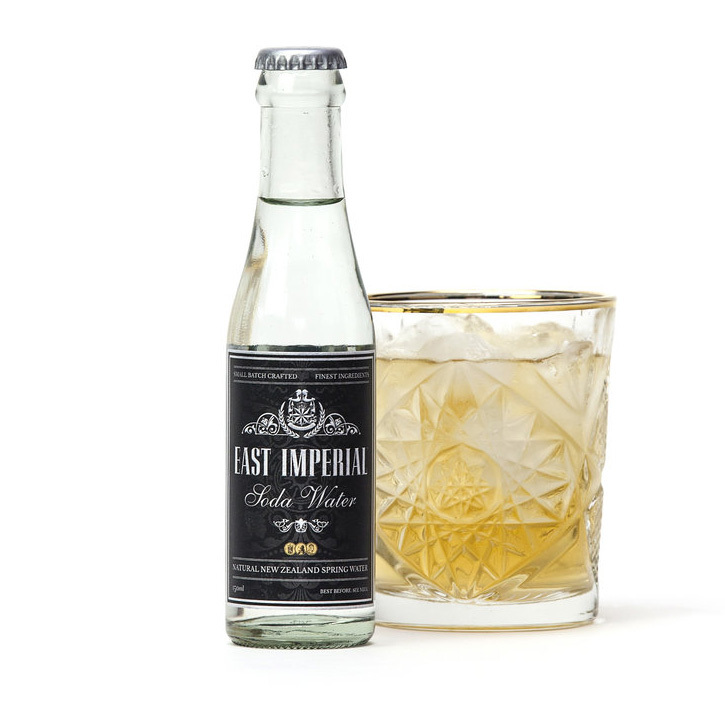 East Imperial's entire range is bottled at source in New Zealand. They’ve gone for champagne-like carbonation at levels higher than any soft drink, allowing for the right balance of bubble size, longevity, softness and quantity. 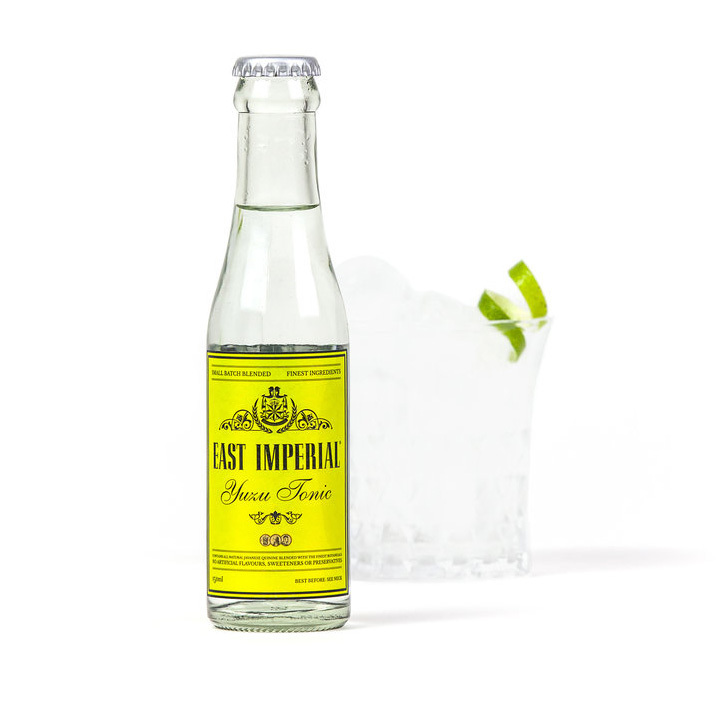 East Imperial's soda water has a broad range of applications but is perfect with scotch or vodka & lime. 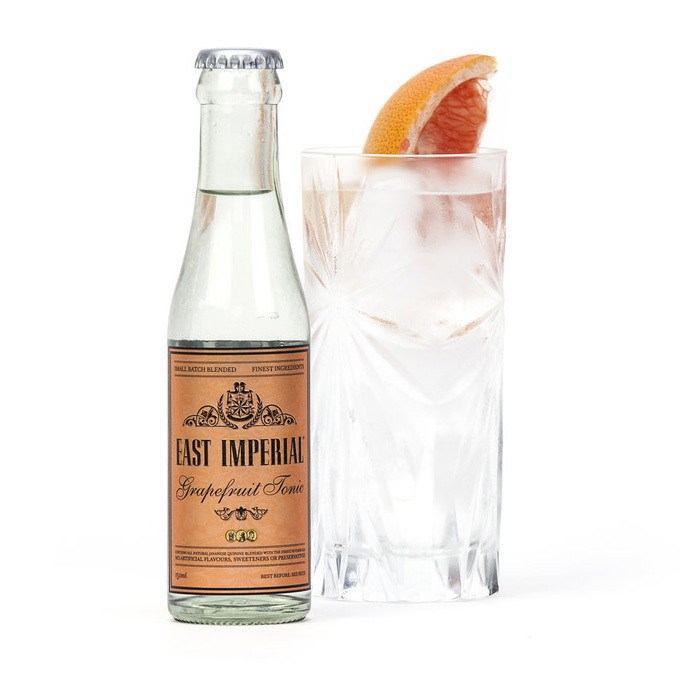 East Imperial is the only tonic water sourcing all the key ingredients from Asia. This is the champagne of tonic waters. This is a true tonic water and as such we would recommend pairing it with the more bold herbaceous new western style gins.